Created in 2008 in response to the lack of education around heritage breed pigs, Cochon555 is a nose-to-tail culinary event dedicated to supporting family farmers and educating buyers about the agricultural importance of eating heritage breed pigs, some of which are on critical watch lists. At any given event, over a hundred-plus cooks, chefs, restaurant and bar owners, renowned sommeliers and barkeeps, can be found working in concert to create luxurious moments. We work with every type of restaurant and bar imaginable – from farm-to-table to Michelin star – and all participating chefs share one core value: they source products responsibly. The epic culinary tour starts in Dallas on Sunday, Feb. 10 and culminates with the finale, Grand Cochon late fall in Chicago. 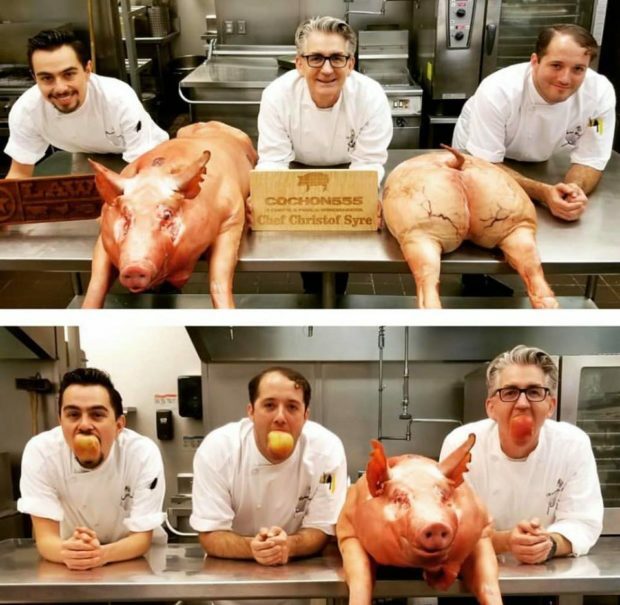 Cochon555 aims to create moments of inspiration, and to engender discussion and action – to buy, to cook, shop and donate in the name of a safe, honest, and delicious. Bottom line, the event is educating the nation one bite at a time and creating a safer food future to be shared with our children. At the Dallas event, mingle with industry experts and feast on generous portions of responsible food with a side of wine and other tasty drinks. If you’re a lover of all things pork, this event is not to miss! Click here to buy tickets before they sell out!